Have been WSPRing on 17m for a couple of days last week. Using my inverted-V. Not really the band of choice for most stations. It is a WARC band, few have a good antenna for it. And there are not really that many stations monitoring there. Over the days propagation on 17 started late and ended early. However DP0GVN from the southpole was spotted a few times, not all days. EA8BFK is the real king of 17m WSPR, there seems to be 24/7 propagation on the Canary Islands, I even spotted him in the middle of the night at 01:30 UTC last night. 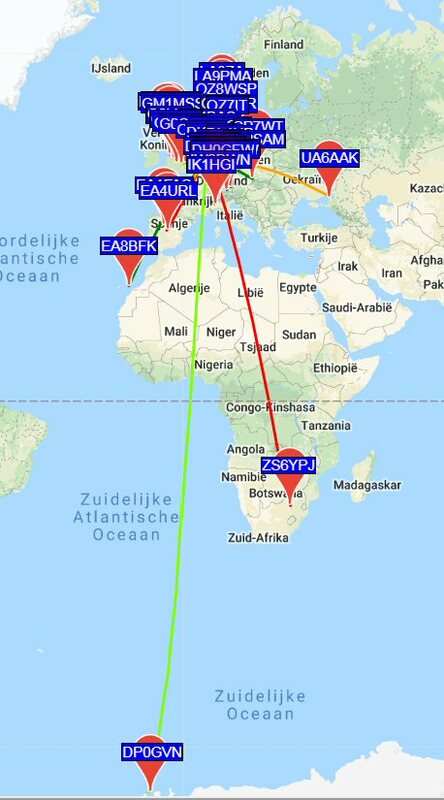 So far propagation only favours north south, no spots from USA, Japan or Australia. Overall I had a low "score" at the PE1ITR WSPR receive challenge page. But yesterday was my best day till now. 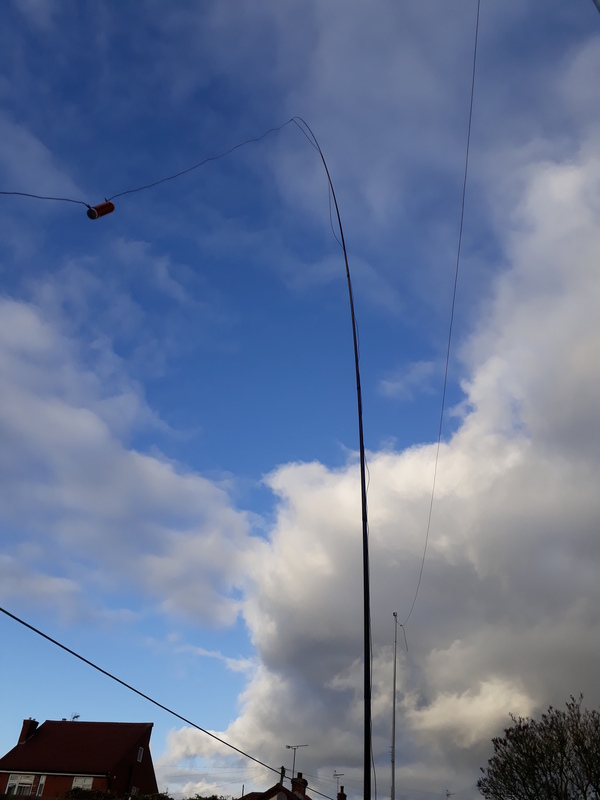 This morning I decided to switch to my multiband vertical. It receives a lot more noise. However I want to see if my TX signal will be received by more stations?? Good work! It's infuriating that so few people are active on WARC WSPR. I must give it a go with the Raspberry Pi one of these days! The Last Ingredient Necessary for a 2.4GHz Transverter Has Arrived. QRZ Now – Ham Radio News! Summer propagation gets going in earnest. 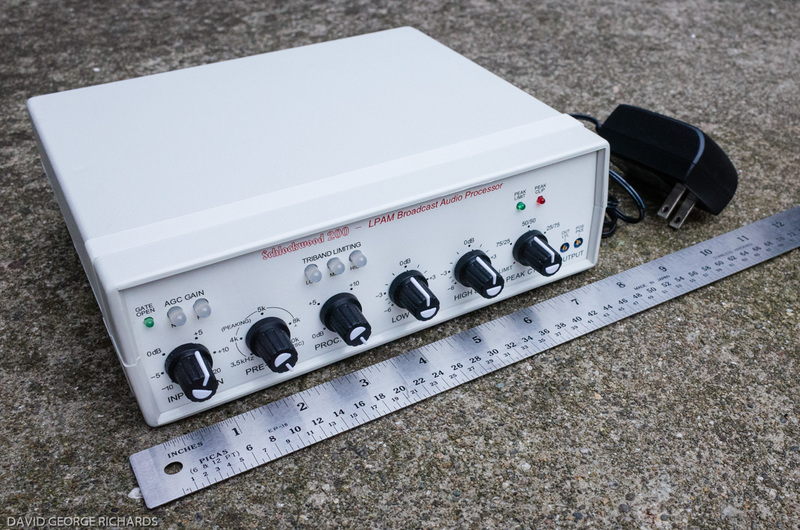 Steve G1KQH's Amateur Radio Blog " The Font of all knowledge"
Build Yourself a 40/80m Antenna For Small Gardens Part 2. PE4BAS 2008 - 2019. Powered by Blogger.